I love pomegranates so the pomegranate with sea salt sounds interesting. The creamy dill lentil sounds really good. I would like to try the sour cream 'n onion because I have not tried these yet because they are new. I would love to try the sea salt quinoa chips because I recently tried garlic seasoned quinoa and it tasted pretty good with broccoli. I wonder how well quinoa tastes in a chip! I would like to try them stall. I would start with the Pomegranate White Cheddar chips..All of the Hummus chips sound delicious. Actually they all do. 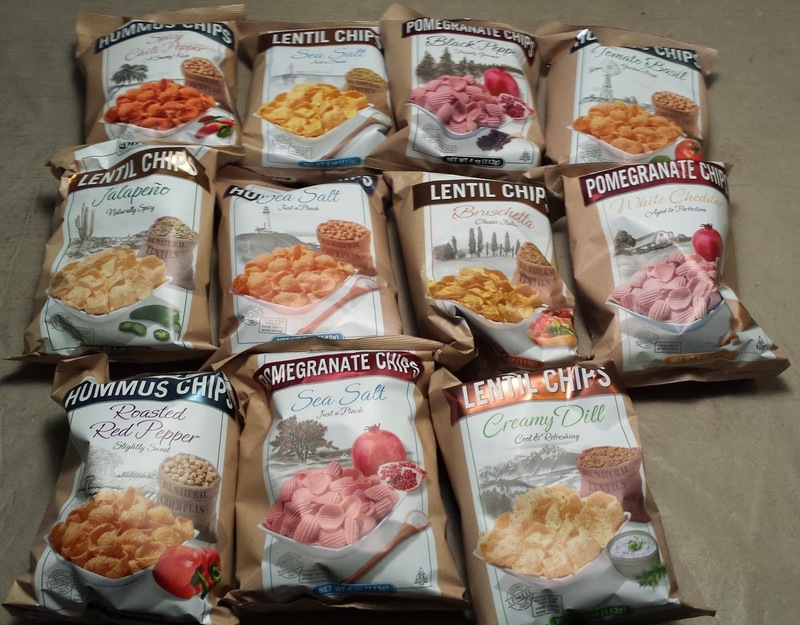 I am Most excited about trying the Black Pepper Pomegranate Chips, the Jalapeno Lentil Chips, the Spicy Chili Pepper Hummus Chips, the Roasted Red Pepper Hummus Chips, the Barbeque Quinoa Chips, the Cheddar Quinoa Chips, and the Sour Cream & Onion Quinoa Chips. Actually I'm pretty sure I'd just try them all!! I want to try the Jalapeno Lentil Chip. I'm interested in trying the Pomegranate Sea Salt chips because they sound really good to me. Thank you. Creamy Dill Lentil Chips. Why? 'Cause dill is my favorite garden herb. Spicy Chili Pepper sounds lovely! I would like to try it! 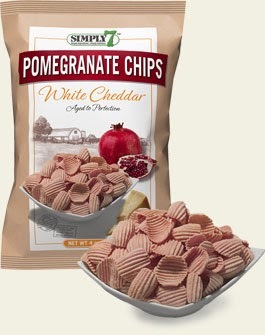 I would love to try the Pomegranate Chips because I love the taste of fresh Pomegranates! I would love to try their Pomegranate Chips because I have never had anything like these. 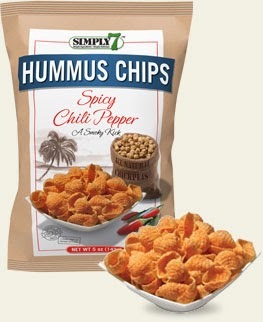 I would like to try Simply7's Spicy Chili Pepper Hummus chips because I love spicy foods. I would love to try roasted red pepper hummus chips because they sound really interesting. Red pepper hummus is a popular flavor so it is probably good in chip form also. I'd love to try the Cheddar Quinoa Chips. The tomato basil and sweet red pepper j=hummus chips sound delicious and I want to try them However, I have never had Pomegranate chips and to be flavored with white cheddar makes them w=even more desirable. I've had the hummus chips before and they are wonderful. I'm most excited to try the Pomegranite chips in the white cheddar variety! The cheddar Quinoa Chips top my list. I like almost anything with cheese and I've heard about the great nutritional value of quinoa (isn't it high in protein?). The Bruchetta lentil chip, love the real stuff.. and think the combination would be just as tasty. I'd love to try the Sea Salt Pomegranate Chips, they sound really good to have as a snack and with maybe some yogurt fruit dip. I would really like to try the BBQ chips. I have always liked the flavor and know I would like these also! I'd like to try the Tomato Basil chips. I have never tried this brand before, and am curious to try all the flavors! I really want to try the Simply 7 Quinoa Sea Salt chips. They look absolutely delicious and healthy. I want to try the Pomegranite Sea Salt variety of chips because they are not too spicy. I would like to try the Pomegranate White Cheddar chips. My family loves pomegranates and these sound interesting. A lot of their flavors sound really good to me. 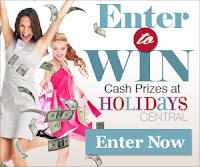 I think I would most like to try their Barbeque Quinoa Chips or their Roasted Red Pepper Hummus Chips. I really want to try the sea salt chips. They have a fresher taste than normal salt and look delicious! I'd like to try the Pomegranate Chips with sea salt and the Lentil Chips in the Creamy Dill flavor! I would like to try the quinoa sea salt chips because they are gluten free and I can share with my daughter. I am interested in trying the Barbecue Quinoa Chips. They sound healthy and delicious. Barbecue is my favorite flavor. lentil since I never had a lentil chip before.